If you don’t already know by now, I’m a big advocate for sponsoring users into the @steembasicincome program. 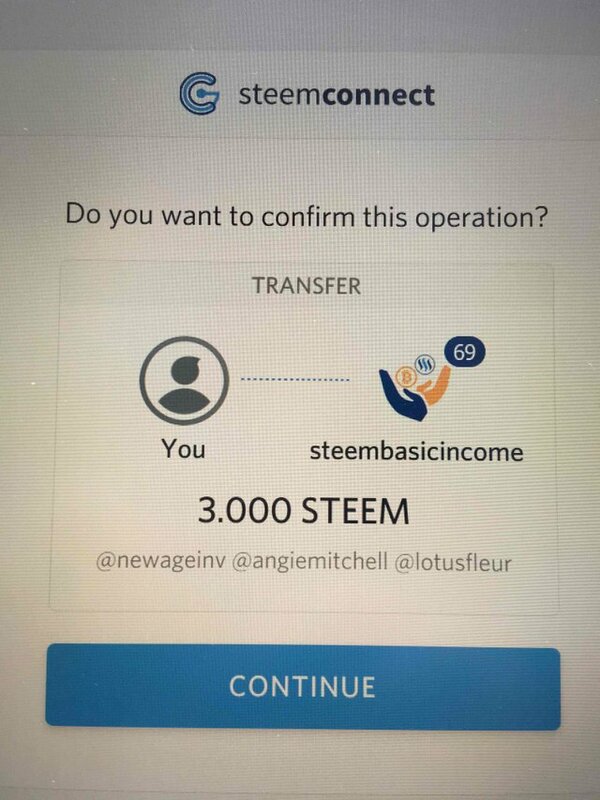 I’ve sponsored a number of newbies into the program, and have sent a total of close to 250 STEEM to @steembasicincome to help bring basic universal income to as many steemians as possible. My latest giveaway consisted of just 3 STEEM to SBI, but 3 is better than none, right? NAI is literally all over the place, commenting and engaging with users across the platform. His dedication outside from the real world to the platform is quite inspiring. Everyday, he reads, comments, and provides value to users and the platform as a whole. He even posts articles about attempting to find new users to help support with his nice chunk of SP. This is a thank you to @newageinv for the continual support to not only myself, but the ecosystem as a whole. @angiemitchell is another wonderful steemian. She always comes by to read and comment on my posts, and it’s users like this that keep me going around here. I cannot tell you how much your unwavering support means, and I can tell you that it certainly does not go unnoticed. I wanted to thank you with a SBI share for your hard work and dedication to helping users like myself achieve their goals. Last but not least is a relatively new face, @lotusfleur. Lotus found my page through the #yoga tag, and connected with me instantaneously upon reaching my blog. Connecting with like minded individuals with similar interests is a great way to organically build your page. I want to thank @lotusfleur for reaching out and supporting me on my steemit endeavors. I hope my content continues to inspire and build the fire up inside for more people to partake in such a mind-body-soul practice. I will be seeing you around, my friend. You're doing great with supporting all these Steemians! Many of us are building so hard these days and SBI certainly helps for steady growth, both now and in the future wherever that may lead us :-) Cheers - and excited to see you're journey towards Dolphin! Yes, I’m trying to build for the future by also helping others. I regret not partaking in some of DApps on the Steem blockchain, though. Which are your favorite to help with steady growth ?? I miss words for it! The ability to read the content the community creates is rewarding enough for me but to actually see the value being created is the inspiration that brings me back here with more energy each time! Thanks so much for your words as they are the fuel to my engine! That is extremely justifiable! Well, we all definitely appreciate your love and desire for the people and the platform! Must respect !